Welcome to the unique boutique hotel Soli Invicto (invincible sun). Here every guest can feel the pleasure of a glass of wine in the unique atmosphere of the room where a man loses sense of time and place ...Inspired by the line of the spiral, the architect has created this impressive building, which opens your eyes for endless vineyards, lakes, green meadows. Hotel Soli Invicto towers over Edoardo Miroglio Winery and has 10 elegantly furnished rooms, tasting room, restaurant and lobby bar.Here is the best place in the area of the Thracian valley for the production of quality wines and complete relaxation. 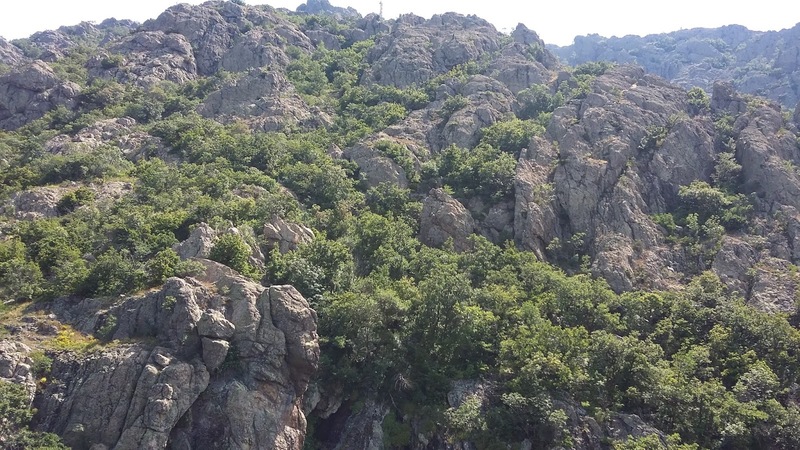 The rock phenomenon Halkata (The Ring) has been declared natural landmark, a symbol of Sliven, formed due to the disruptive effect of weather conditions. Haidushki spring (Haidouk spring) is located northeast of Karandila area, not far from Mlechni dol River, on the route Karandila – Peschenik – Bachvata -Mollova Curia. Orlovi dupki (Eagles' holes) are three niches situated close to each other at a height of about 20-25 meters at the powerful rock rising above the area of Mollova Curia.They serve as a shelter of imperial eagles , that is where their name comes from. Haramiata is a very old and well-known spring, located above the road to Bulgarka peak, 1000 m above sea level, at the bottom of Ravna River. 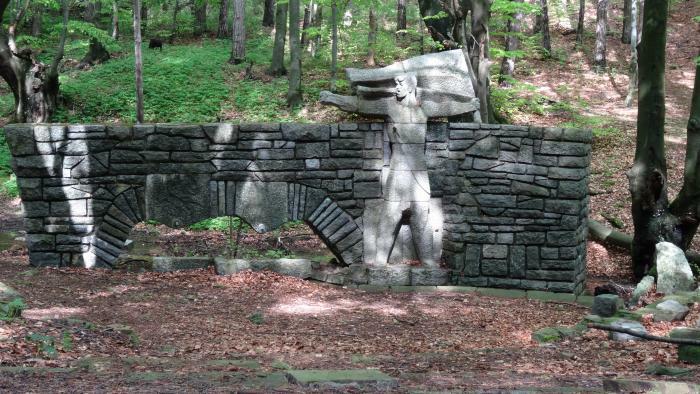 Many voivodes - George Trankin, Panayot Hitov, Filip Totyu – used to quench their thirst here. Nowadays, a stone fountain rises here. Kaloyanovi kuli (Kaloyanovi Towers) are rock formations resembling castle towers and castles, ruins of former settlements. Their name takes us back to the time of the great reformer and warrior king Kaloyan, who has repeatedly been in this area. Located south of Sipeite and northwest of Enyova bulka.